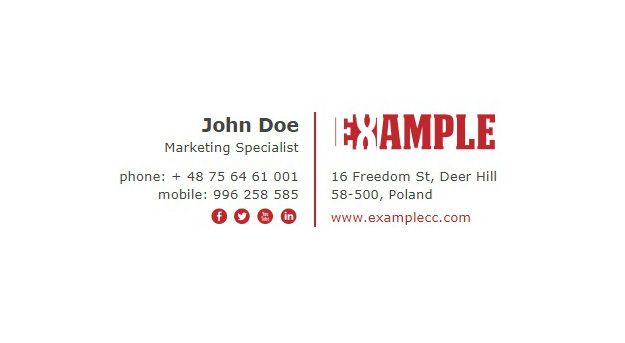 This email signature template is great for business purposes. All elements are nicely organized into two columns with contact details on the left and company physical and web addresses with the logo on the right side. This HTML signature is available for editing in Signature Generator (click Edit signature) or a direct download (click Download signature).